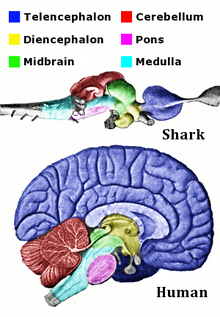 It is a well-known fact that the brains of sharks share some similarities with the human brain. A team of Australian researchers have worked on this fact to develop a repellent which may be used against the great white shark which is one of the most dangerous shark species. Shark brains have been found to share several features with those of humans, a discovery which Australian researchers believe could be crucial to developing “repellents” for the killer great white species. These sharks are responsible for 5 deaths in the past 10 months near the coasts of Australia and the government encourages a catch-and-kill policy in order to fight this pest. Kara Yopak, one of the researchers, has examined the brains of over 150 sharks and found out that the sector responsible for visual input was very developed. This new information may help scientists develop new and simpler methods to scare the great white shark. She states that a simple pattern on a piece of clothing may be enough to repel the great whites. At the moment, there are special shark repellents sold on the market, but all of them focus on the electro-sensitive pores found on the head of most sharks. However, this repellent is useless against the great whites and a new invention may save many lives.